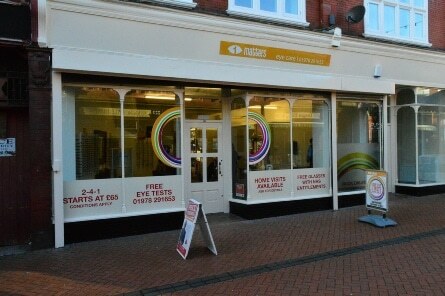 I Matters Eye Care are a small independent practice with over 25 years experience in the optical industry. We are friendly and relaxed and our reputation is built on good customer service, professional experience and clinical excellence. Book an appointment with us now using our online booking system or visit us at our Wrexham branch. These tests are very important, not only can a spectacle prescription be prescribed but many systemic conditions such as Diabetes, Blood pressure and more. This service is available to those patients who are at increased risk of eye disease. This includes urgent eyecare, such as red eye, floaters, unexplained headaches and more. Please ask for more details. We can provide low visions aids for those patients who need some extra help. This is done free of charge for patients eligible under the Welsh Low Vision scheme. This service is provided for patients unable to attend the high street. We can visit you at home, care home or sheltered accommodation. Many sports, hobbies and occupations can have potential hazards, we can provide prescription and non-prescription fashionable eyewear. We have partnered with Amplifon to offer high quality and professional experience in our Wrexham branch.